A plethora of empirical work explored finance-income-environment nexus, aims to investigate high CO2 emissions determinants, over the last few couples of decades. The prior empirical work assist the idea that finance and income have diverse impacts on the environment. The lack of consensus on finance-income-environment nexus in the Central and Eastern European Countries in the perspective of Belt and Road Initiative need to be examined. Therefore, the present study explores the nexus between financial development, income level, and environmental quality for a panel of eighteen Central and Eastern European Countries, over the period of 1980–2016. The Dynamic Seemingly Unrelated Regression, the Fully Modified Ordinary Least Squares, and the Dumitrescu-Hurlin panel casualty approaches are employed. The environmental Kuznets curve hypothesis also investigated for both time series panel and country-wise. 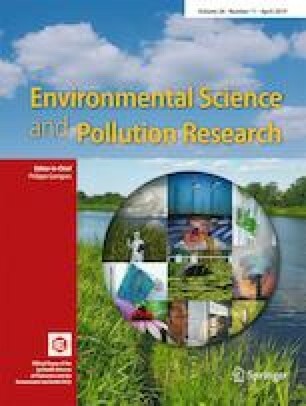 The Dynamic Seemingly Unrelated Regression long-run panel results reveal that (i) financial development index and income negatively impact on environmental quality; (ii) energy consumption is the key determinant of CO2 emissions and reduces environmental quality; (iii) urbanization and trade both enhance environmental quality via reduction of carbon emissions; and (iv) the environmental Kuznets curve hypothesis supported for the selected panel countries. The country-wise results depict that increase in environmental quality occurs due to increase in financial development (in four countries), income level (in five countries), trade (in five countries), and urbanization (in eight countries). However, the environmental quality decreases due to the increase in financial development (in six countries), income level (in eight countries), energy consumption (in twelve countries), trade (in six countries), and urbanization (in five countries). The environmental Kuznets curve hypothesis supported for five Central and Eastern European Countries. Additionally, the causality results confirmed the presence of feedback relationships among income and environmental quality, and financial development and energy consumption. Thus, we conclude that income level and financial development are the main drivers behind high carbon dioxide emissions in CEECs. The finding of the study opens up new insight for appropriate policymaking. The authors wish to thank the editor, Dr. Philippe Garrigues, and anonymous reviewers’ referees for their constructive comments. We thank the financial support from the National Natural Science Foundation of China under the project of NSFC-71672009.71372016.